As the population of the United States ages, the number of seniors diagnosed with Alzheimer’s disease is expected to triple by 2050. A team of researchers from the Rush Institute for Healthy Aging in Chicago conducted a study of 10,802 seniors aged 65 or older. As the population of the United States ages, the number of seniors diagnosed with Alzheimer’s disease is expected to triple by 2050. A team of researchers from the Rush Institute for Healthy Aging in Chicago conducted a study of 10,802 seniors aged 65 or older. 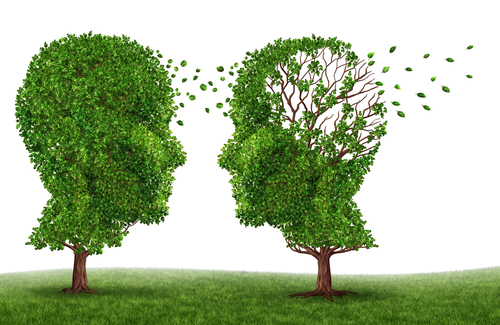 Between 1993 and 2011, the participants were interviewed and assessed for symptoms of dementia once every three years. 402 of the study participants were newly identified with Alzheimer’s during the study period, a number that increased with advanced age. They then took into account compounding factors, such as level of education, race and age and combined the data with US death rates, education and current/future population estimates from the US Census Bureau. They calculated that 13.8 million Americans will be affected by Alzheimer’s disease by the year 2050. This figure includes 1.3 million people between the ages of 65 and 74, 5.4 million 75- to 84-year-olds, and 7 million seniors aged 85 or older. “It will place a huge burden on society, disabling more people who develop the disease, challenging their caregivers and straining medical and social safety nets,” said Jennifer Weuve, an assistant professor of medicine and one of the study’s contributing authors. The authors stressed the need for further research into the prevention of the disease. Alzheimer’s remains the only disease among the top six causes of death in the United States for which there is no prevention, cure or treatment. If scientists are unable to develop a cure for Alzheimer’s disease, the economic toll alone would be enormous. Experts estimate the cost to care for all of the people suffering from Alzheimer’s would exceed $1 trillion annually. Recently, The Dementia Initiative, a national effort that included a wide array of dementia care experts from across the U.S. representing the practice, policy and research sectors, released “Dementia Care: The Quality Chasm,” a white paper framing consensus values, practices and recommendations for person-centered dementia care. Given the staggering financial and caregiving demands of dementia, our country is facing significant, if not crippling, societal challenges if effective ways are not identified to better address and manage the needs of people who have dementia and their care partners. Person-centered practices are not only the most humanistic and desired practices, but are the most effective and financially cost-efficient ones as well. Led by CCAL-Advancing Person-Centered Living (I am on the borad), the participants of the Dementia Initiative intend for this consensus white paper to provide guidance about person-centered dementia care, and for it to serve as a call to action to begin transforming the culture of dementia care in our country. The point the Dementia Initiative is trying to make is that we spend a lot of time worrying about a cure but we also to worry about the care, the total holistic care, of both patient and caregiver. Cognitive Gender Differences: Are Women More Efficient Thinkers?